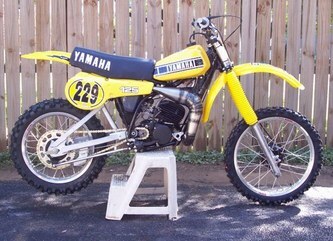 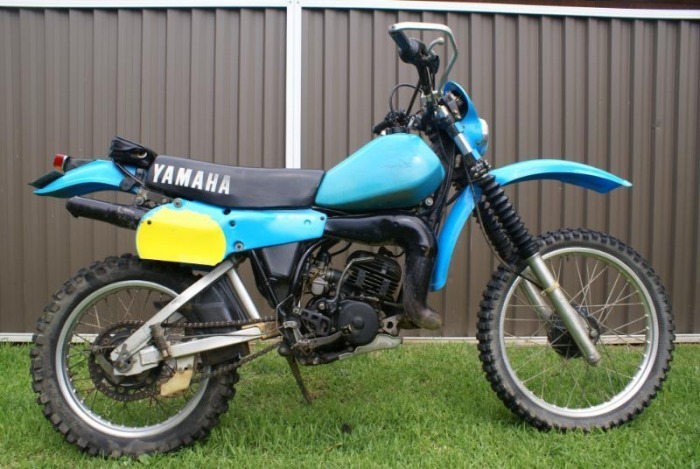 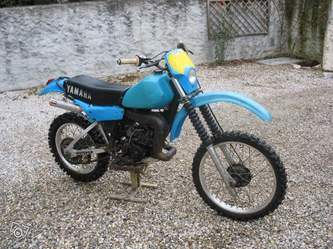 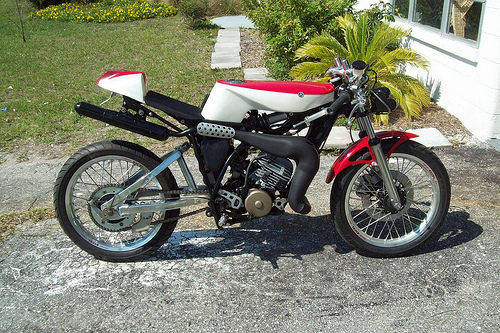 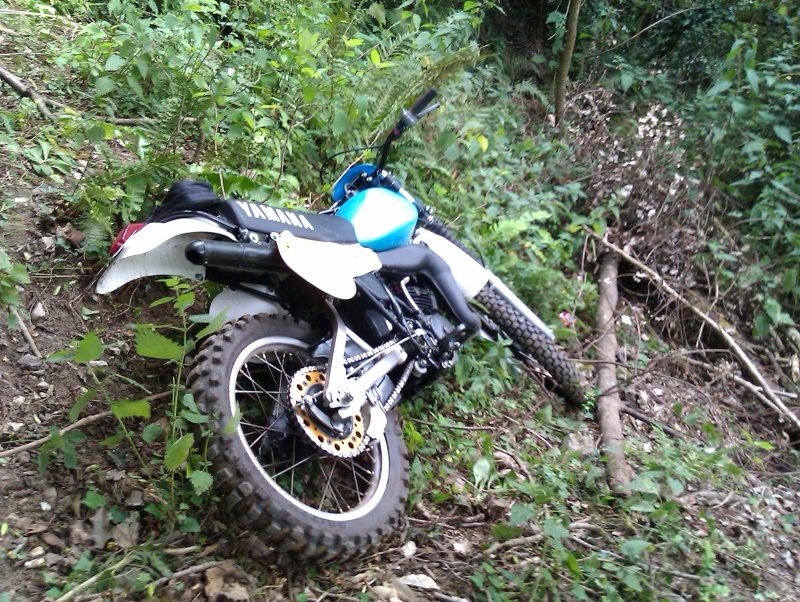 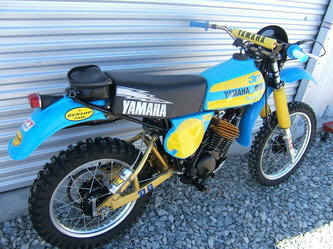 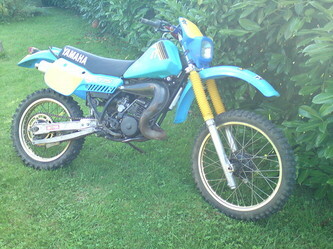 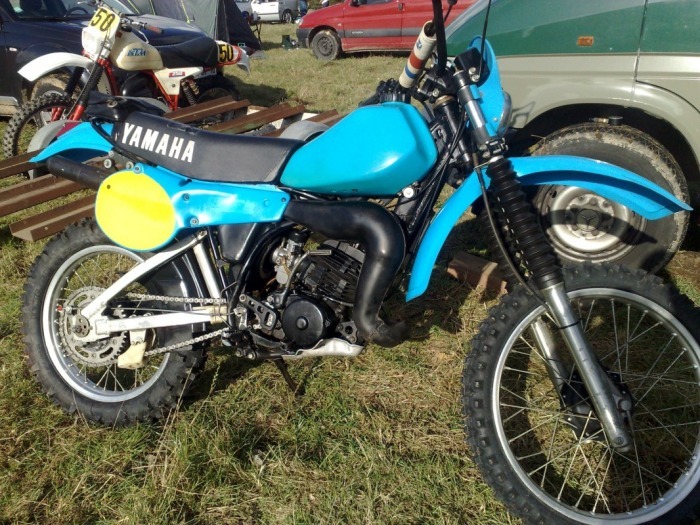 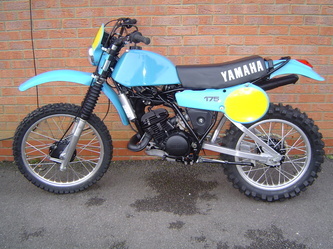 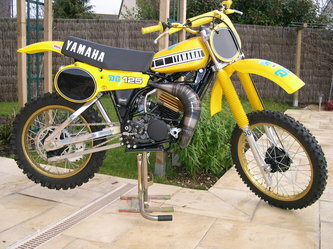 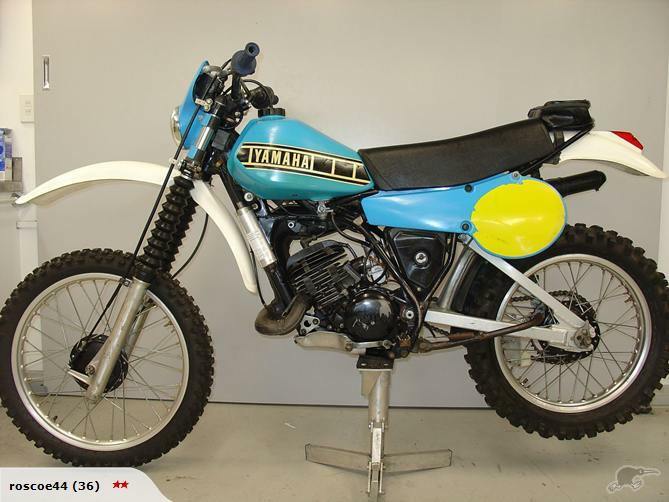 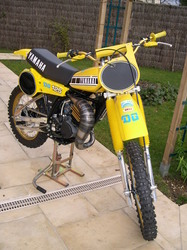 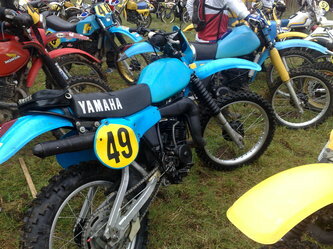 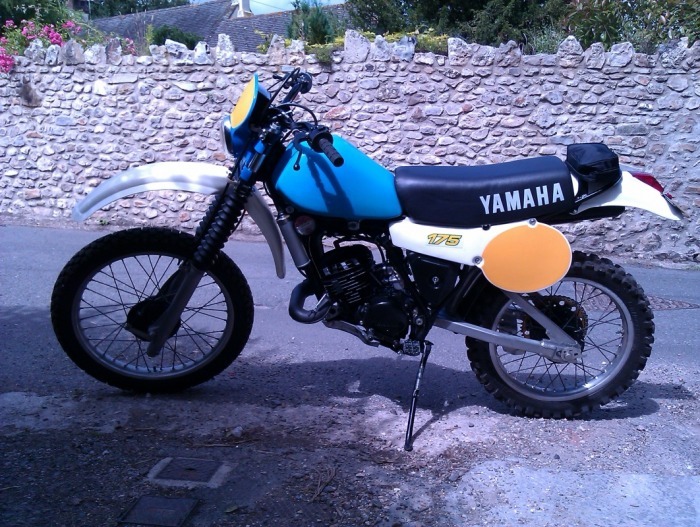 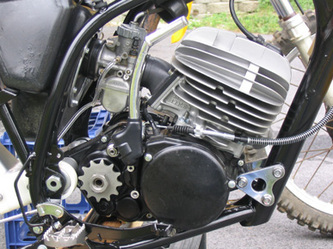 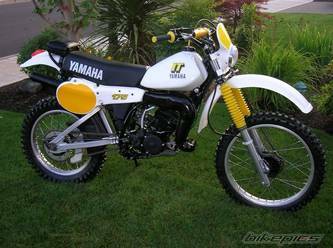 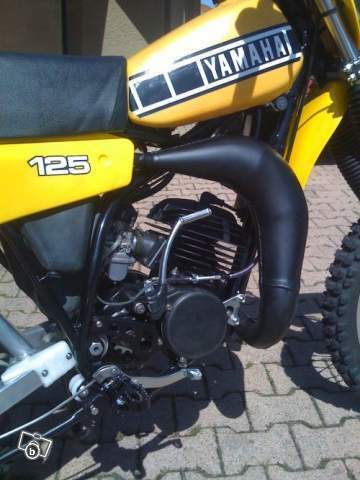 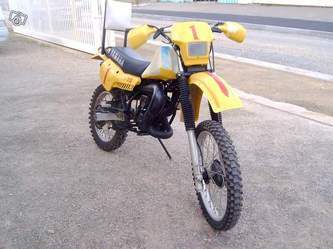 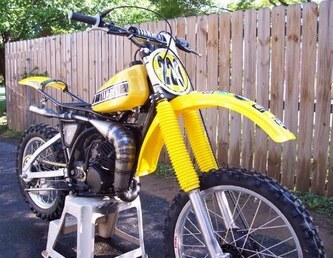 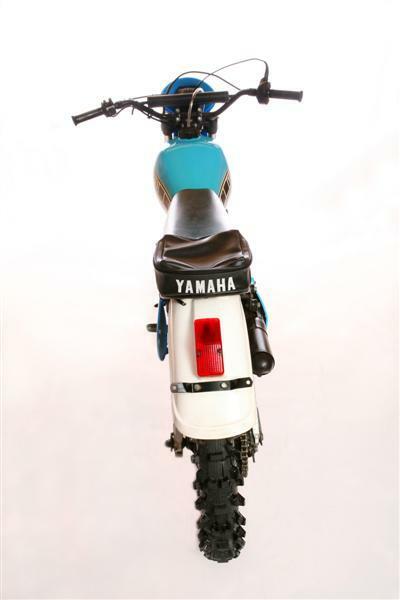 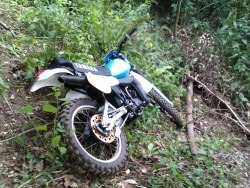 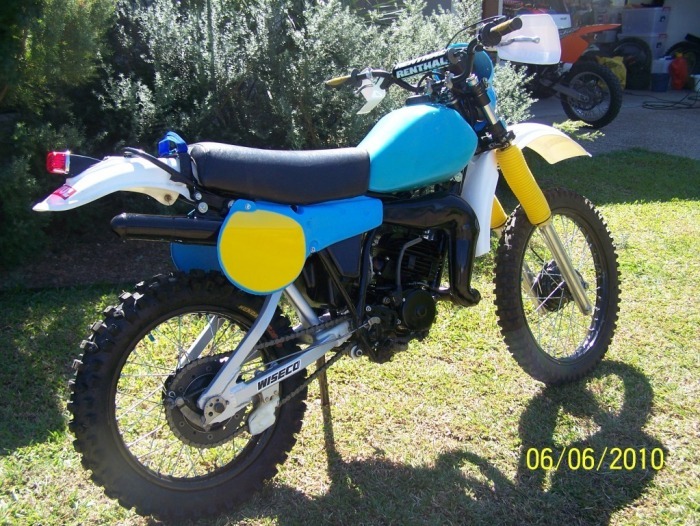 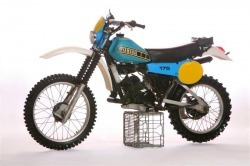 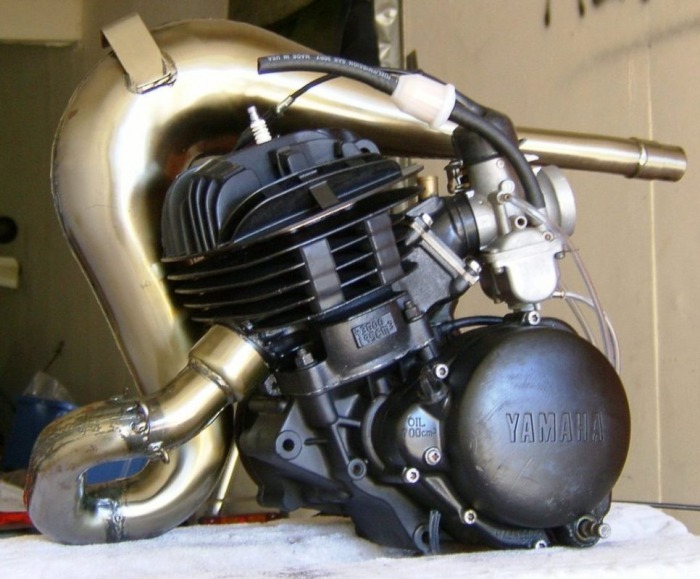 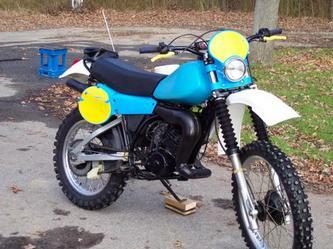 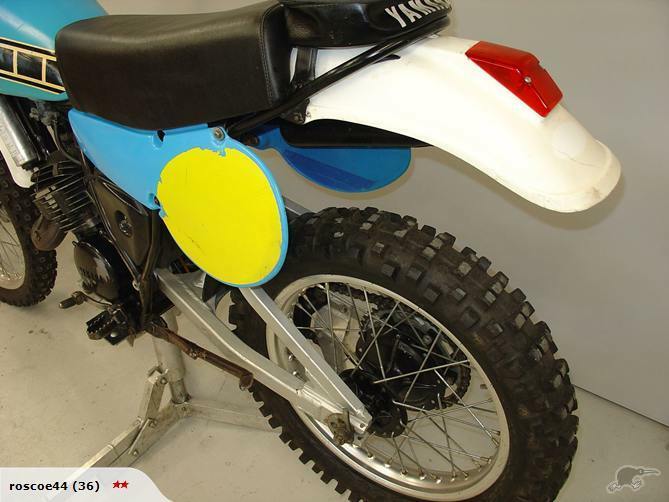 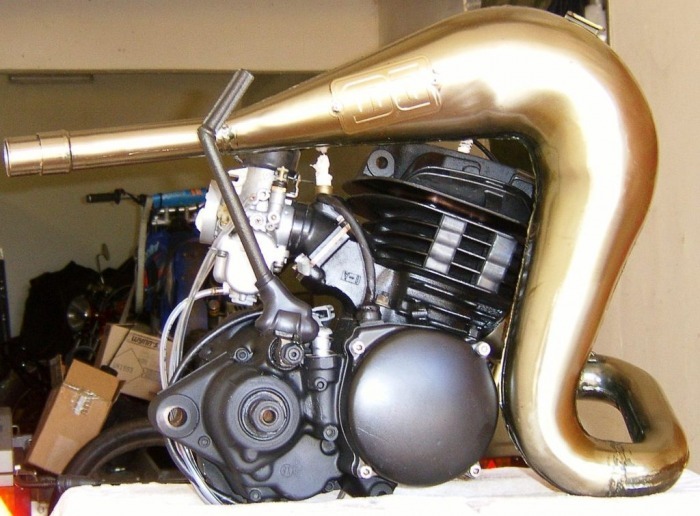 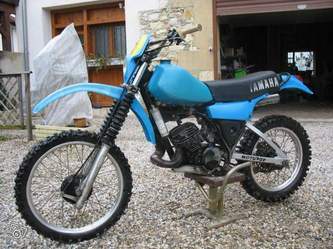 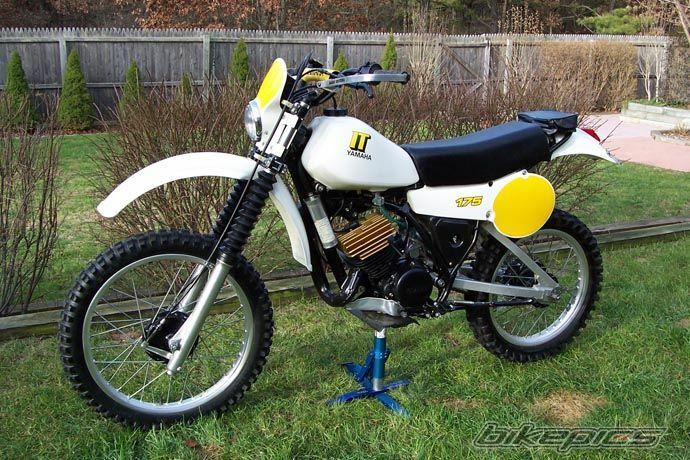 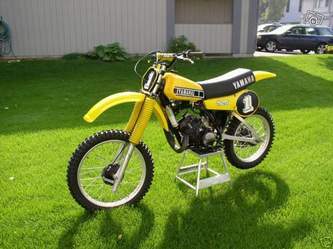 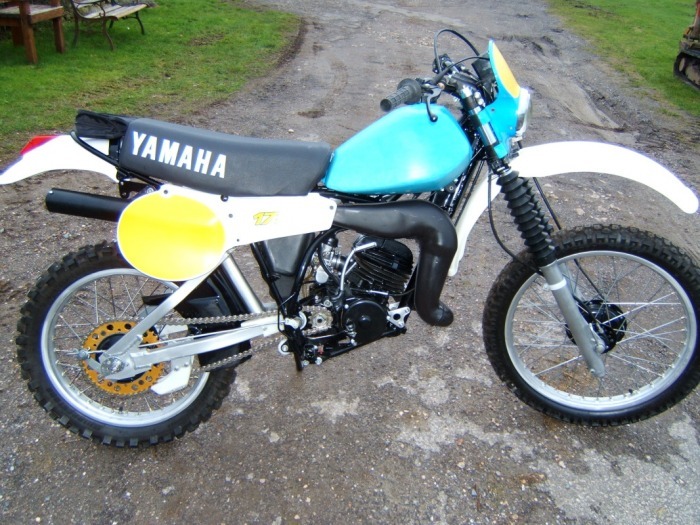 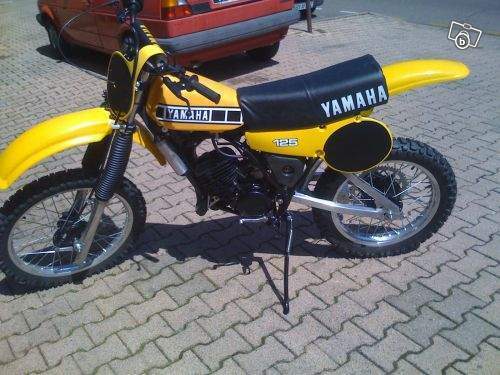 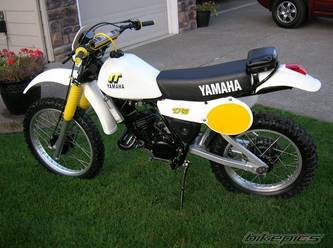 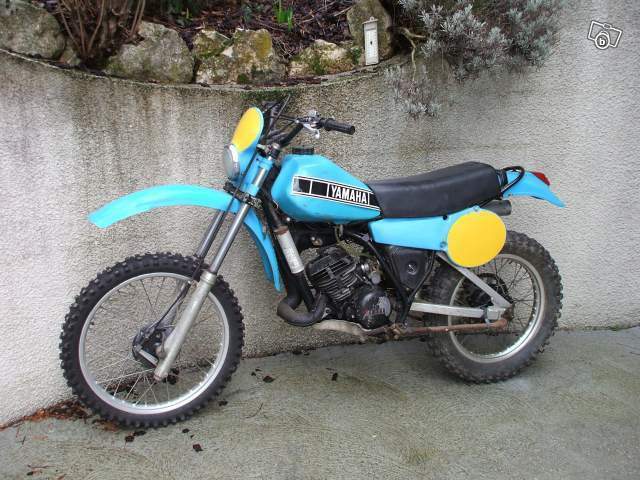 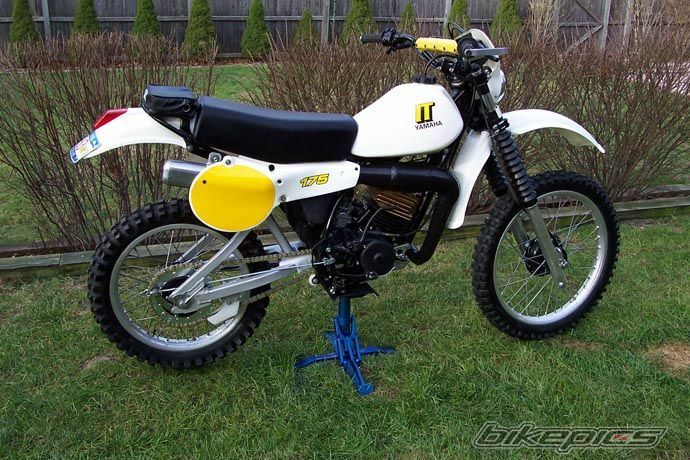 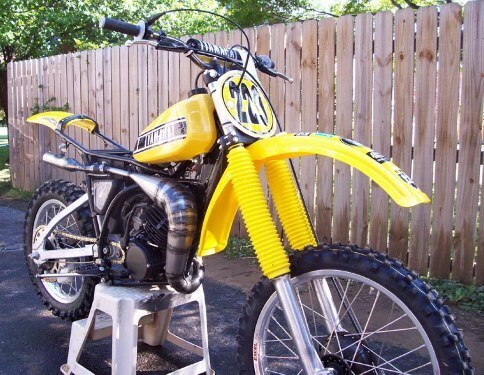 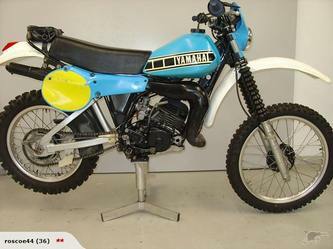 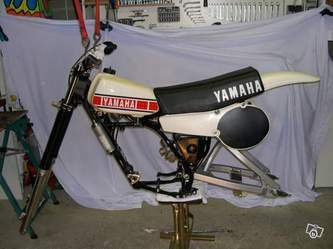 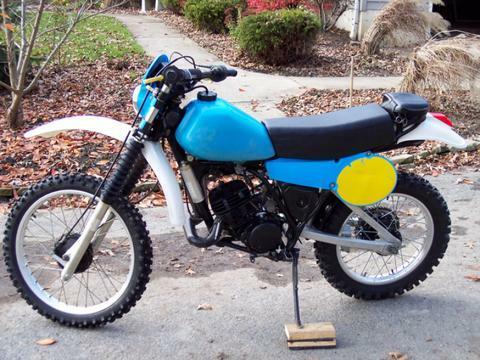 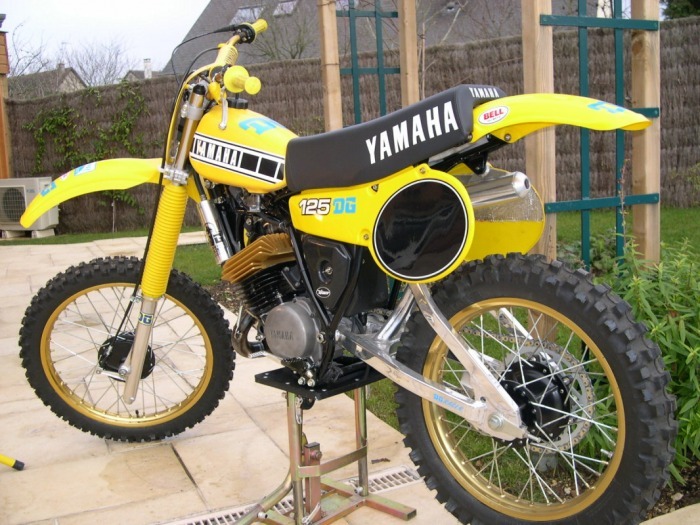 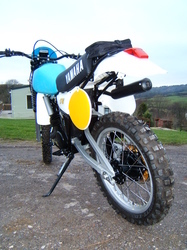 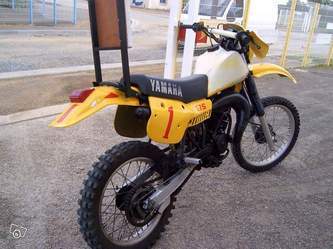 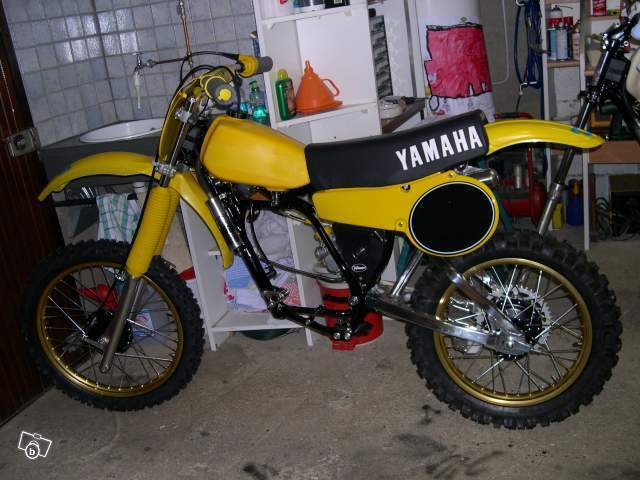 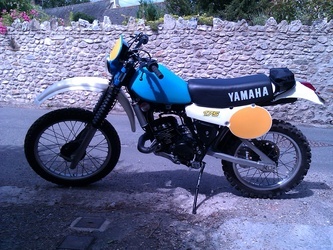 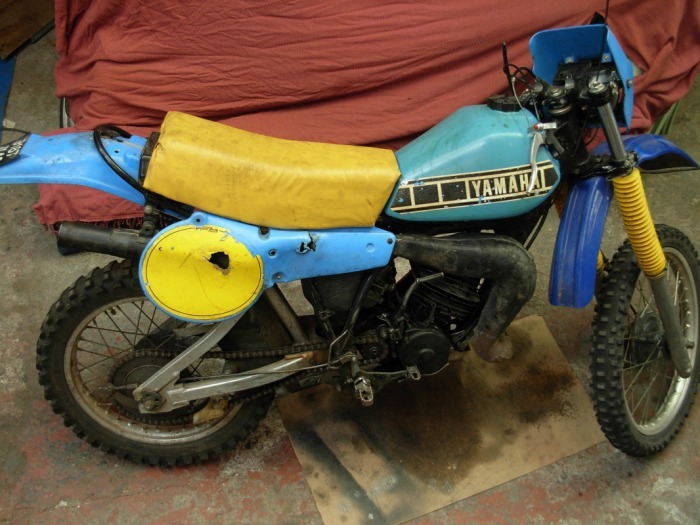 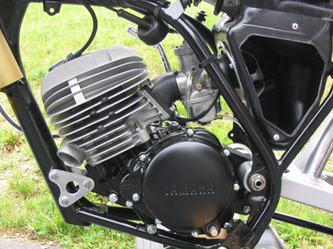 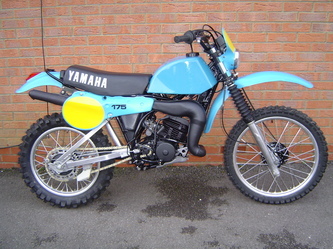 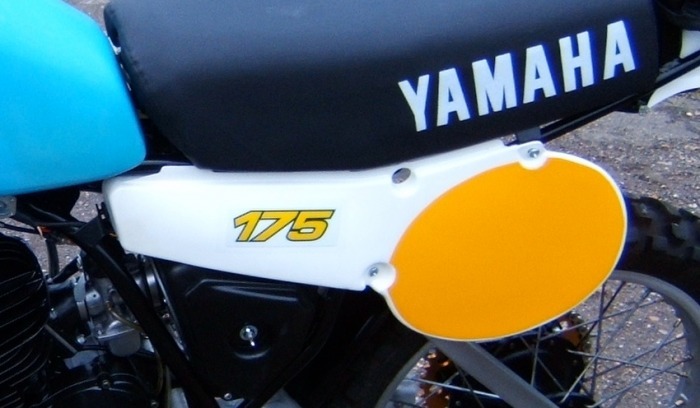 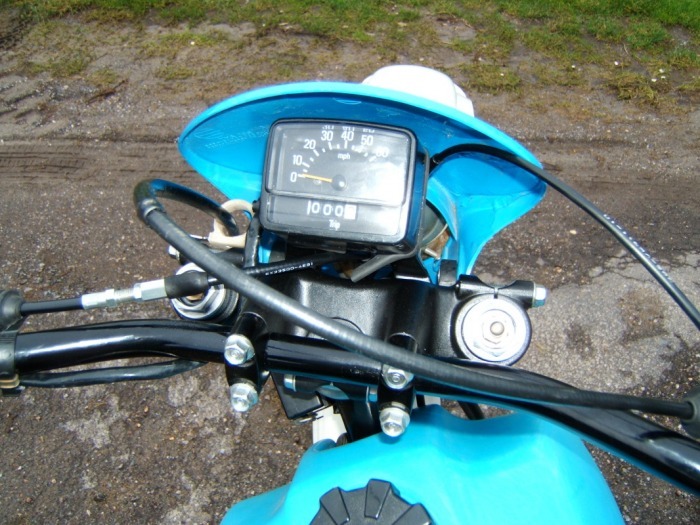 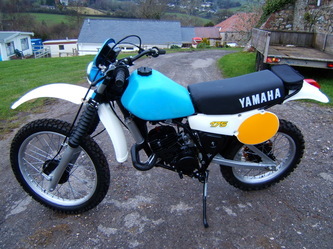 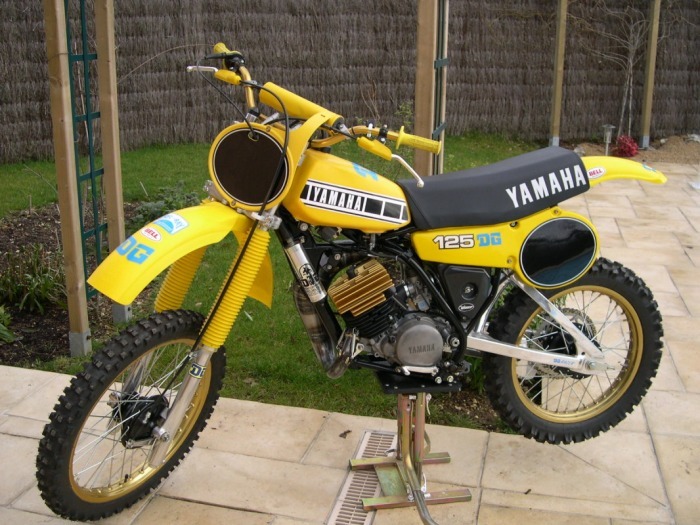 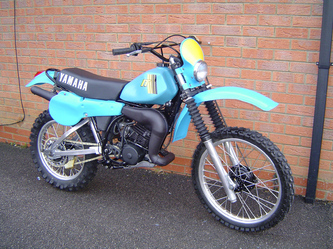 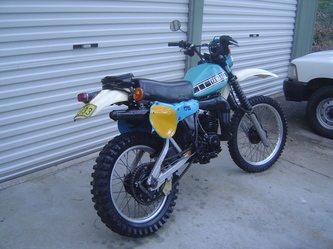 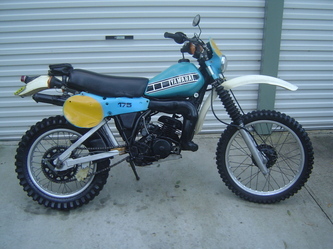 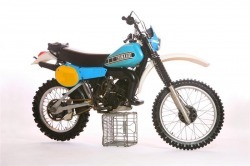 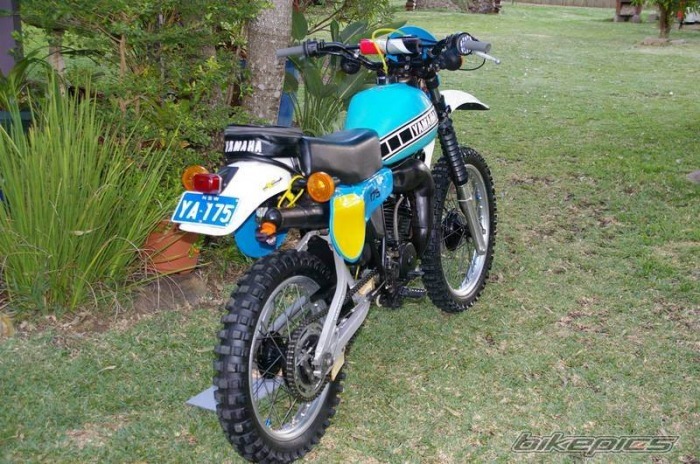 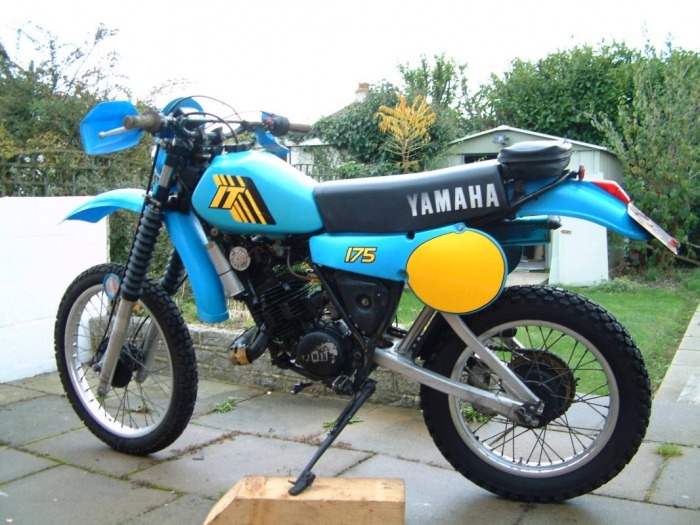 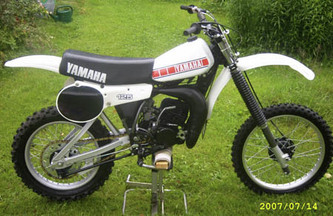 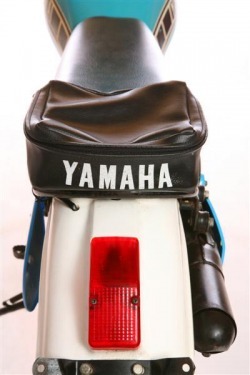 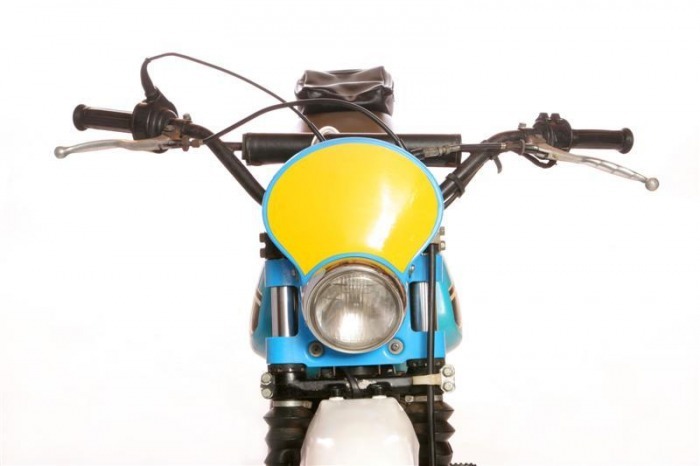 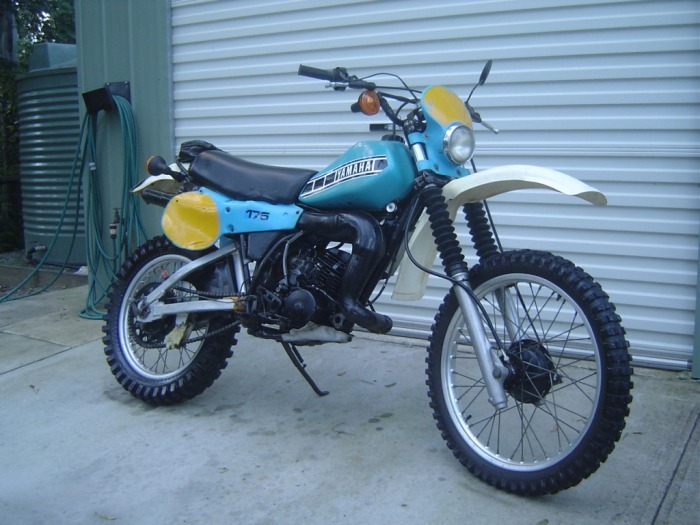 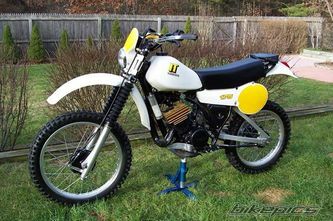 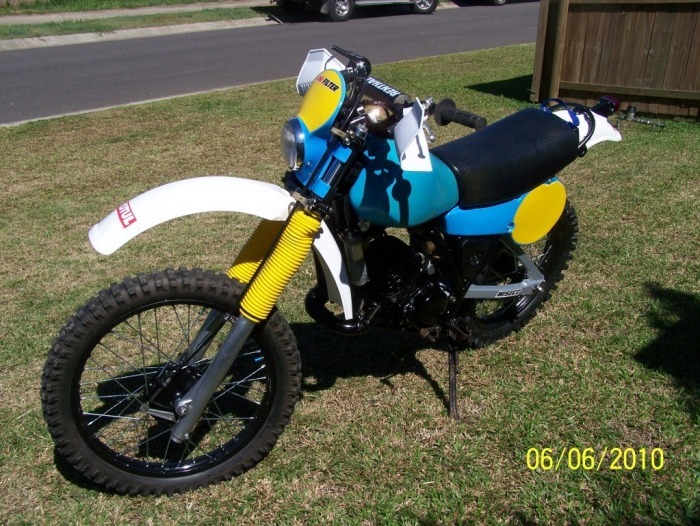 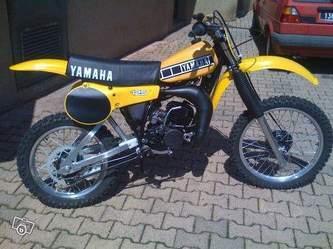 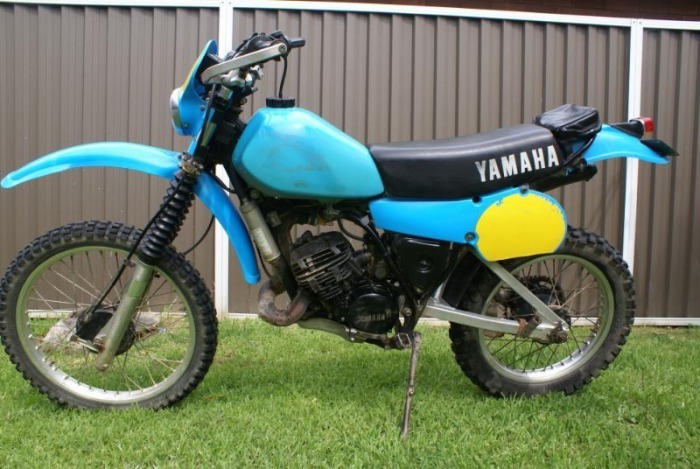 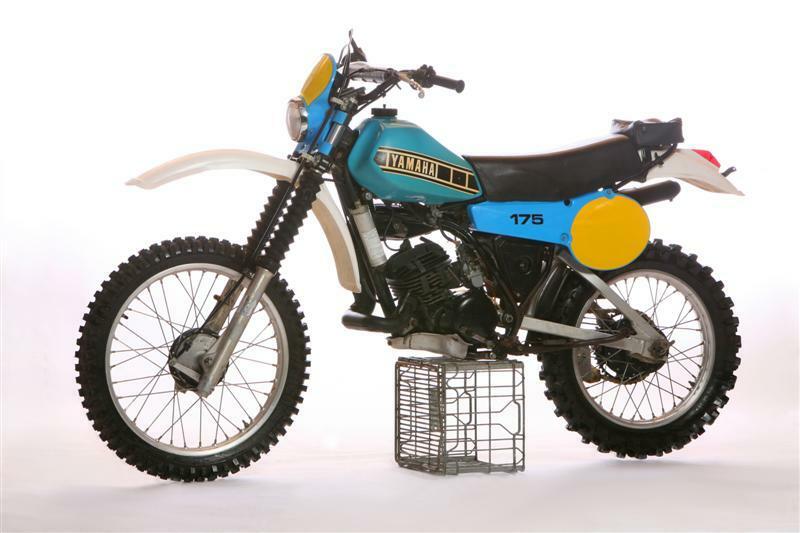 Here is a gallery of Yamaha IT175 model images I trawled from t'internet, I used the images for reference, it was good to see the bikes in varying forms and set-ups, the different finishes on the paint and plastics, inspirational stuff. 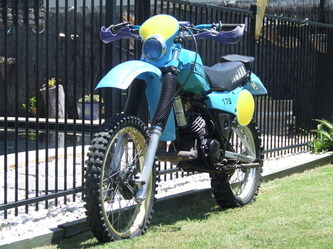 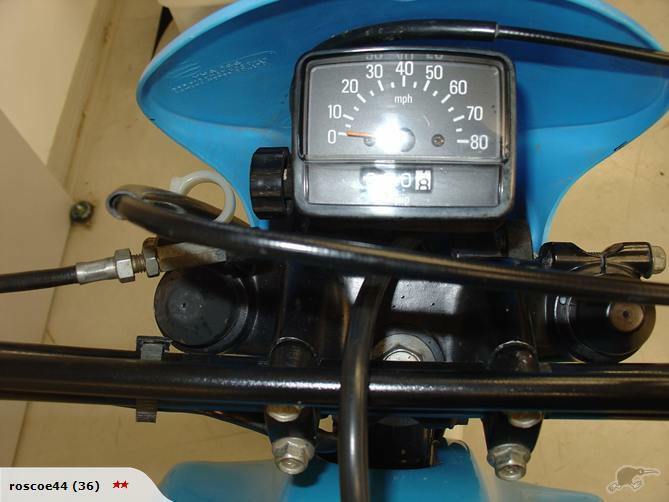 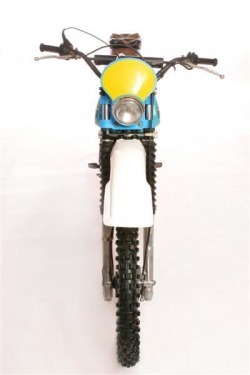 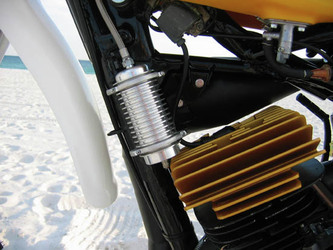 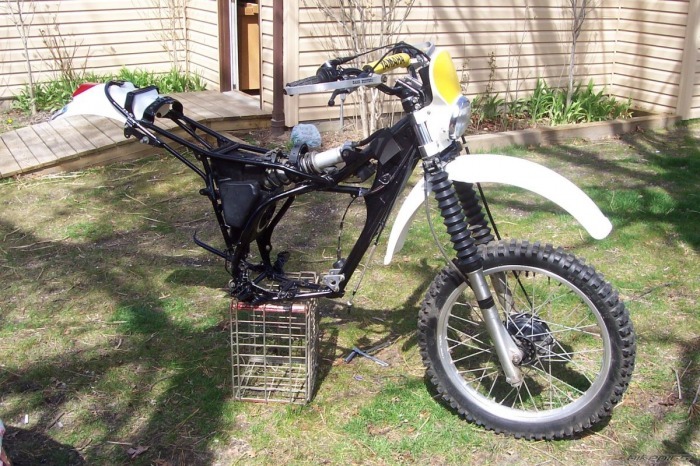 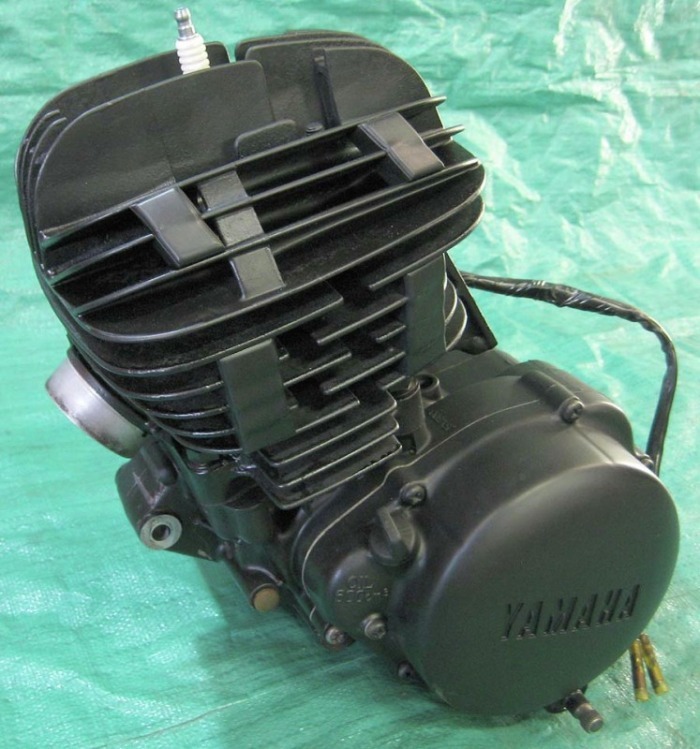 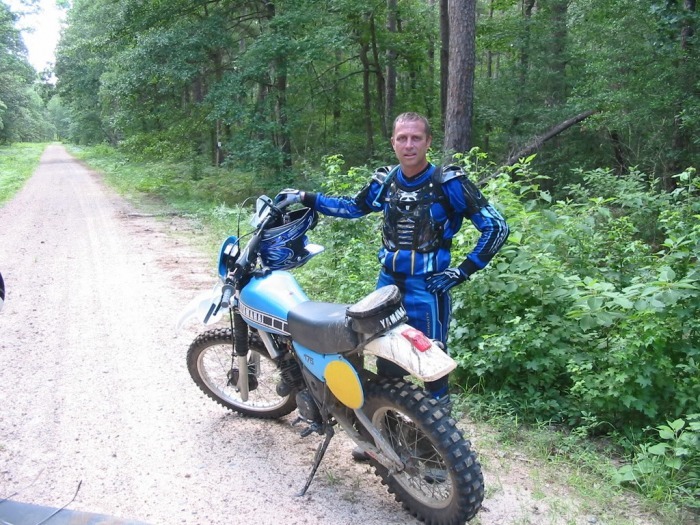 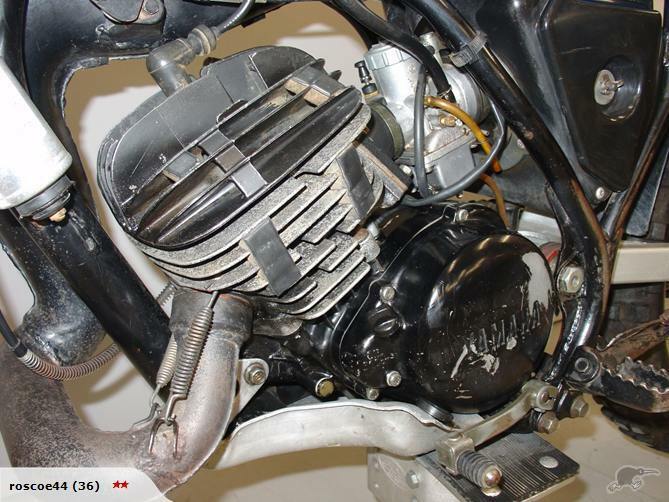 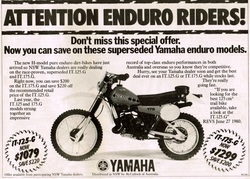 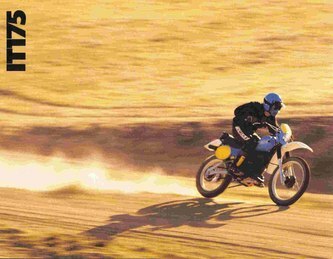 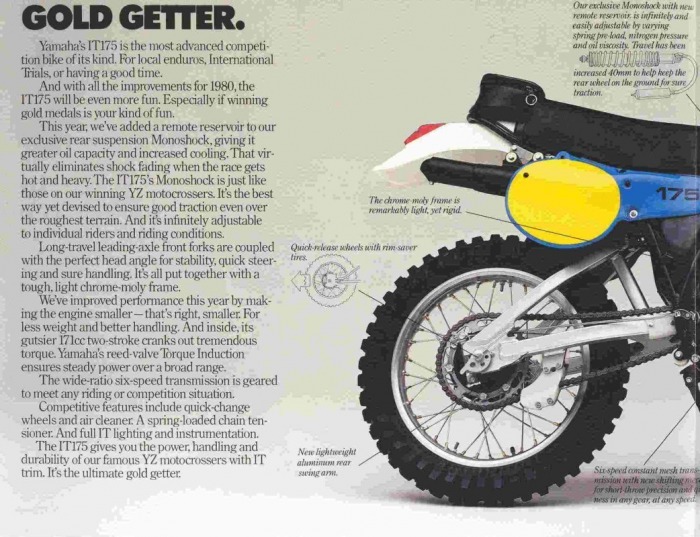 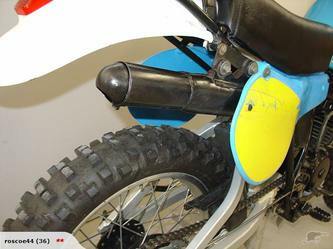 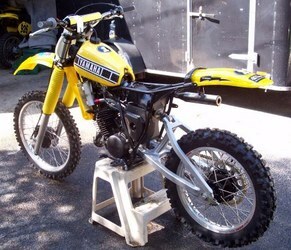 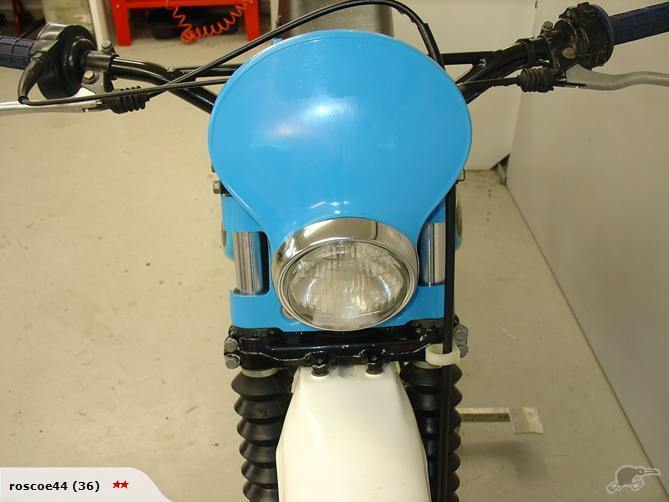 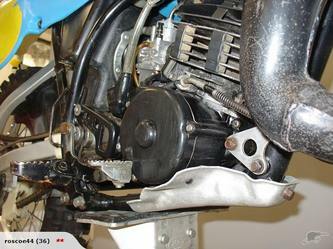 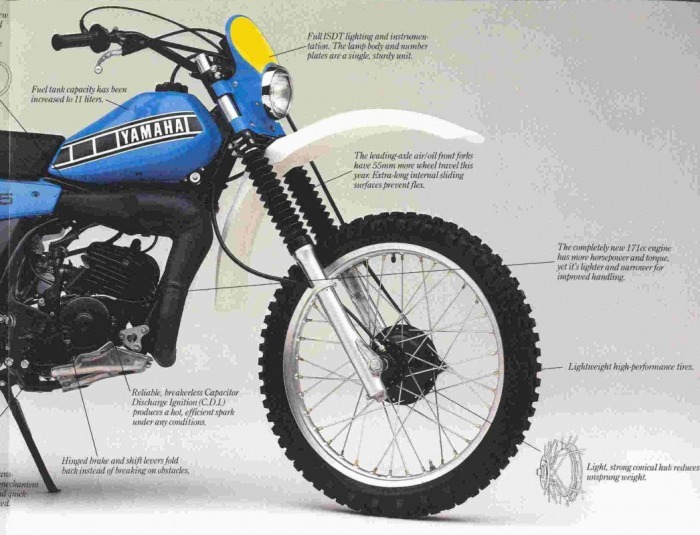 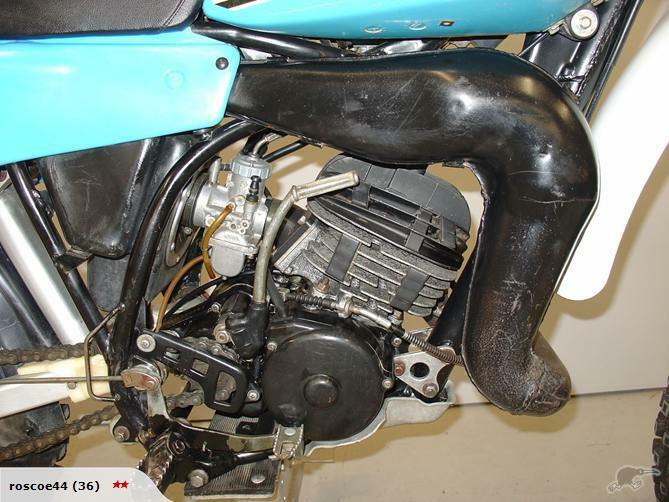 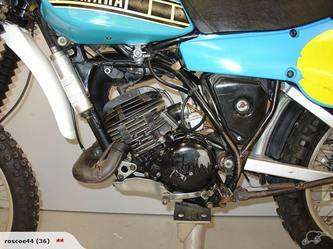 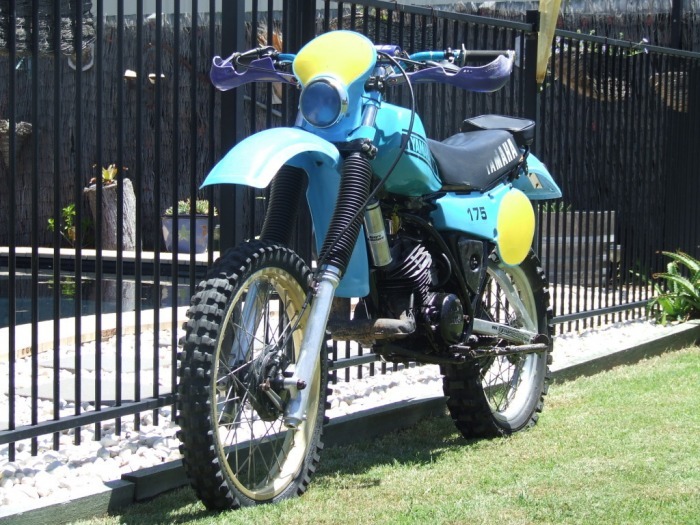 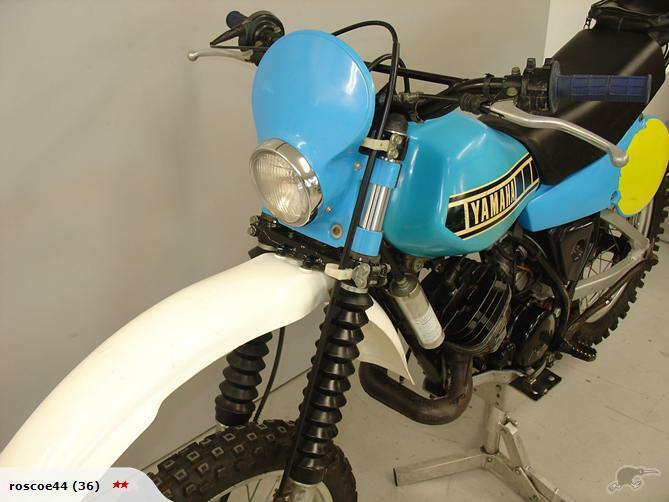 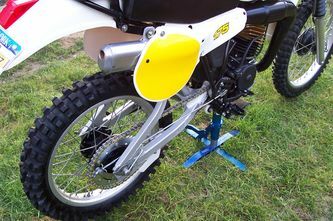 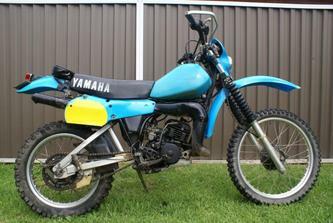 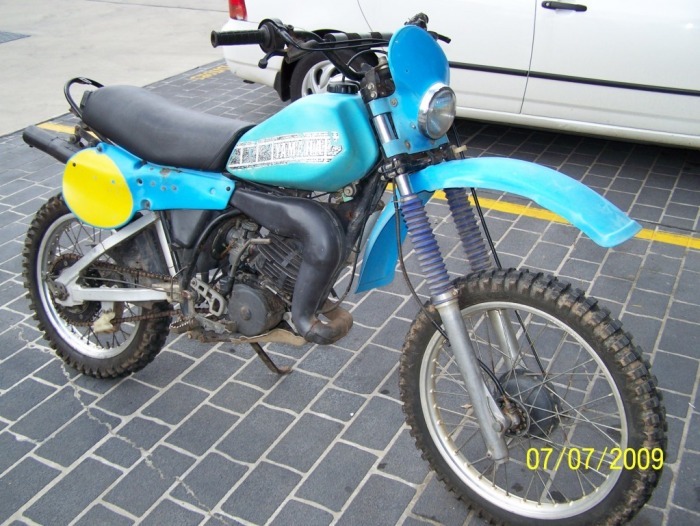 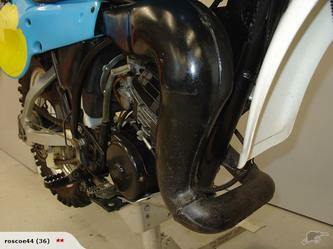 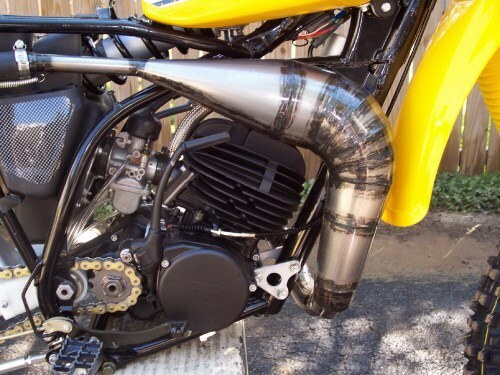 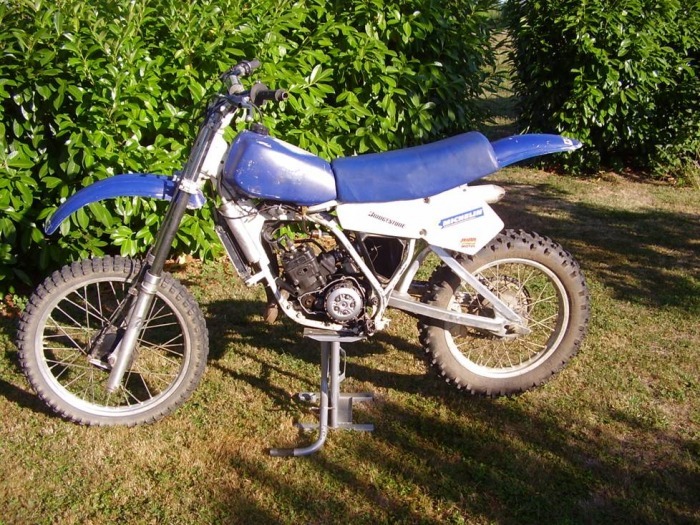 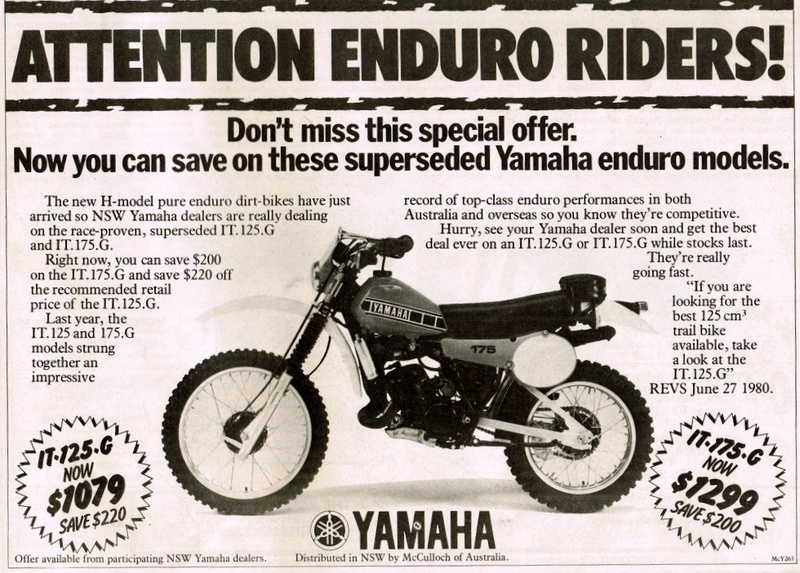 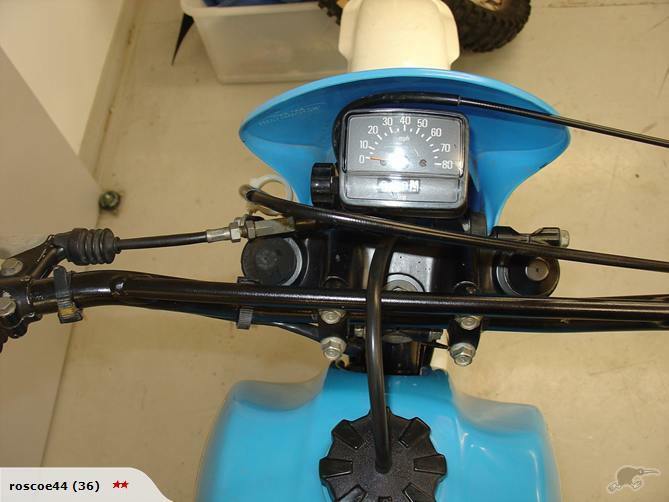 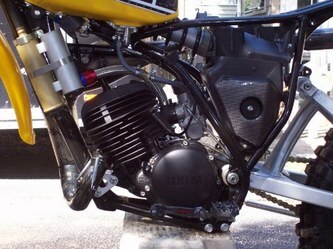 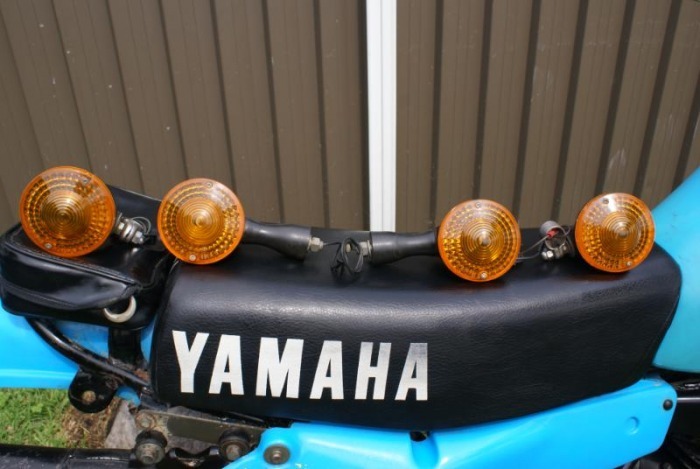 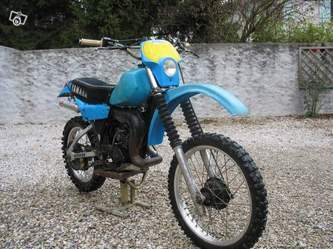 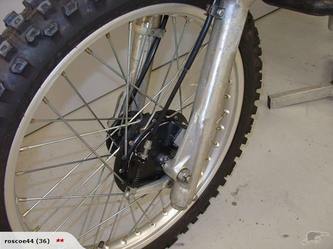 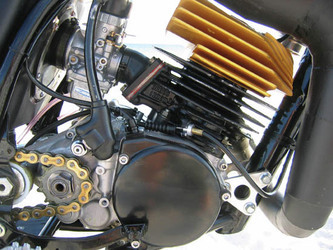 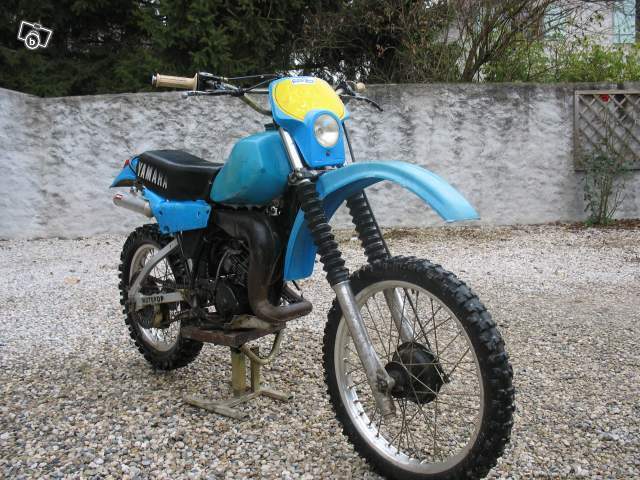 There are a few YZ125 images in here as well, that's because the IT175 and YZ125 shared a lot of common parts, the IT's were basically YZeds with lights. 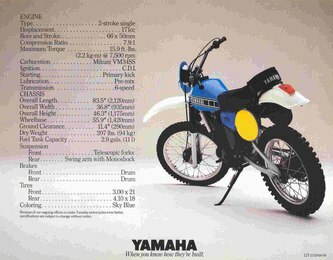 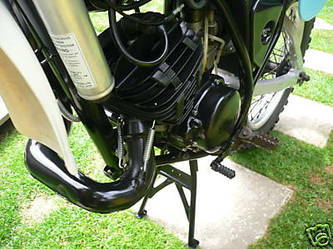 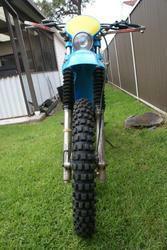 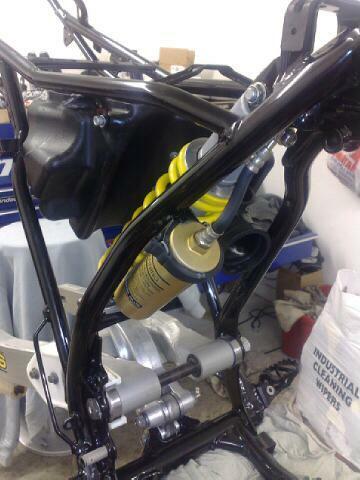 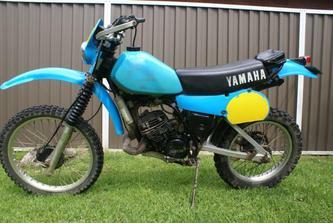 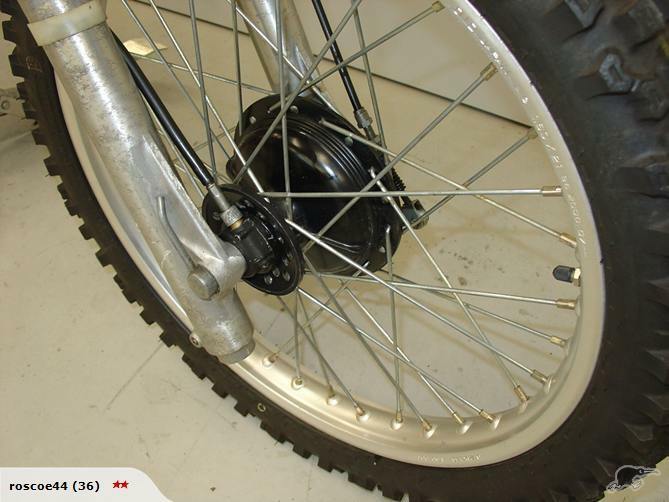 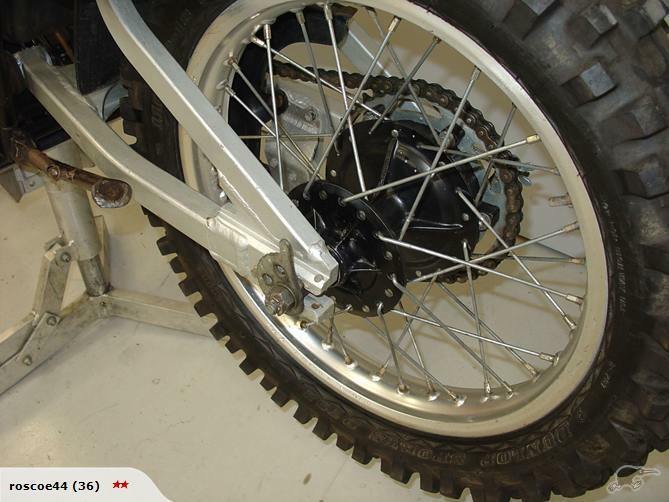 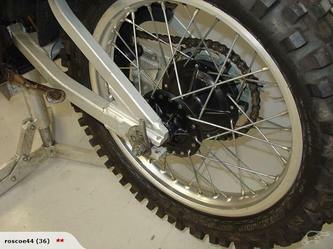 Compare the fork length on the IT and the YZ! Scan down and look at the IT175G TZ racer, very cool. Hey look at me, I just fouled a plug!